This was from the “50 Panini” booklet in a recent issue of Food Network Magazine. 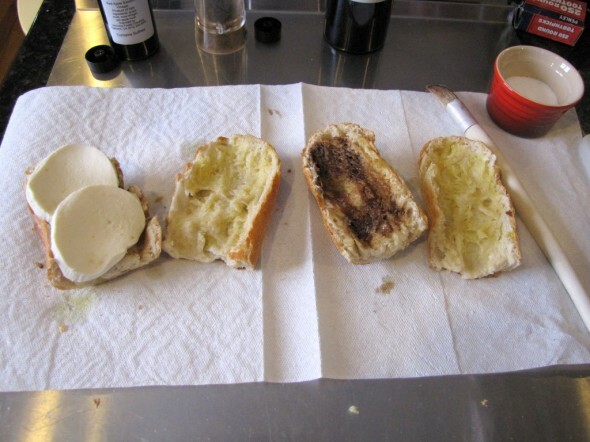 I added some balsamic vinegar to the recipe and used a baguette, but otherwise it’s the same. I always have some frozen baguettes and other breads from Whole Foods on hand. The baguettes are about 1′ long, perfect for 2 sandwiches. It makes it a little more time consuming, you have to heat the bread in the oven first. But so, so worth it. I made these for lunch last Saturday, easy and delicious. 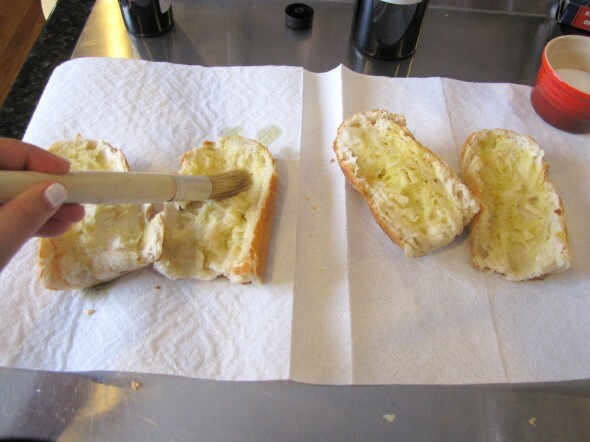 Brush both sides of the split bread with olive oil. The recipe calls for a sub roll or sliced Italian bread, I used a baguette. I added this step: Brush one side of each sandwich bread with good balsamic vinegar (I actually used red apple balsamic). 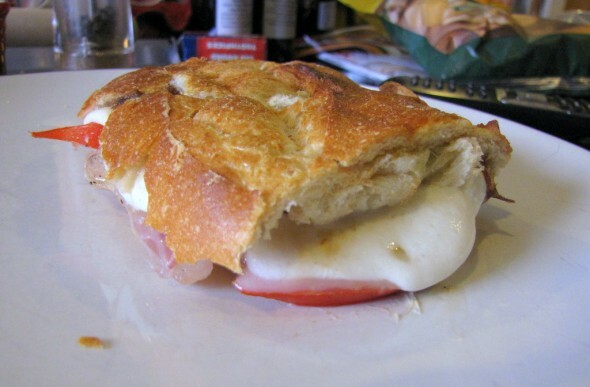 Then add 2 slices of fresh mozzarella to each sandwich. 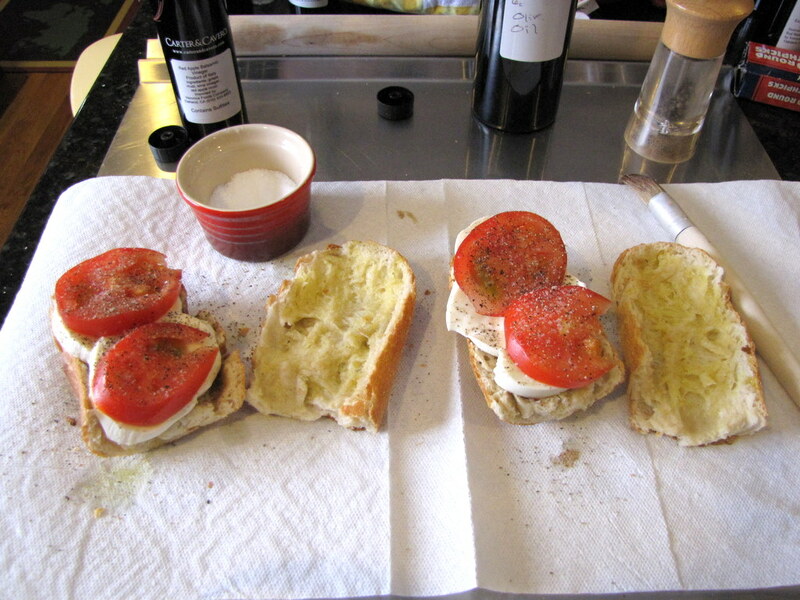 Add 2 slices of tomato to each sandwich, then season with salt, pepper, and basil. 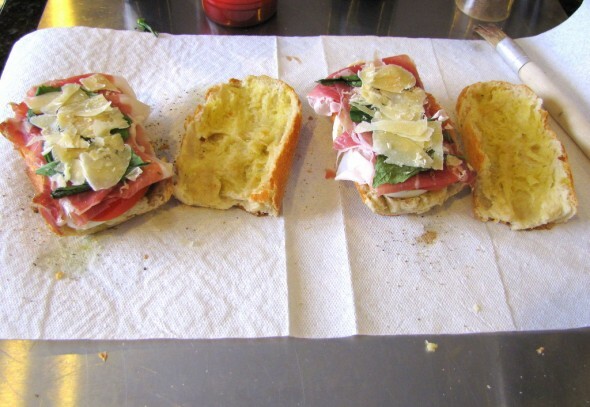 Add 3 slices of prosciutto and shaved parmesan to each sandwich. 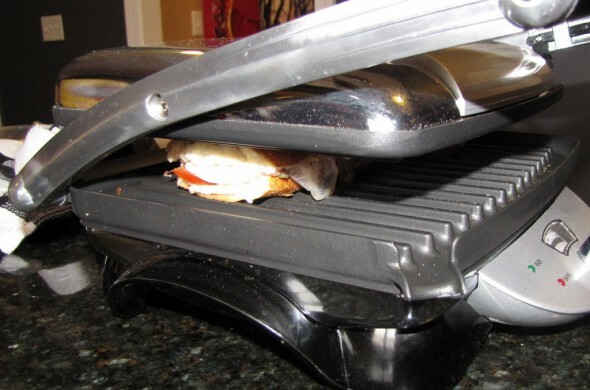 Grill in your panini press for about 5 minutes (mine took about 7) on medium, till the bread is toasted and the mozz is melted. If you do it on your stovetop, Food Network’s directions are here.